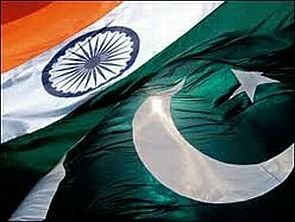 Pakistan on Monday handed over 18 Indian fishermen to India at Wagah Border, a day after they were released by the authorities upon completing their sentences for allegedly trespassing into Pakistan's territorial waters. Punjab Rangers handed over the 18 Indian fishermen, who were released on Sunday from the Malir jail of Sindh province, to the Border Security Force at Wagah Border, a Rangers official, Muhamamd Asif, said. The fishermen were allowed to cross over the border after verification of their documents, he added. The fishermen had been in the Malir Jail for the past few years for violating the territorial waters of the country. The Edhi Foundation, which paid for the arrangement for the fishermen's return to their home, said each fisherman was given Rs 5,000 and gifts -- clothes of themselves and their family members in India -- before their departure. Recently, Pakistan released more than 300 Indian fishermen who had completed their term while over 400 others are currently in Karachi prisons.